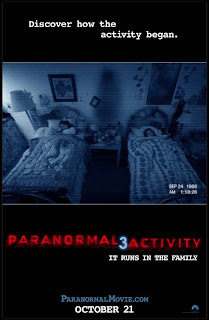 The third installment of the Paranormal Activity franchise see's the story travel back to 1988 where little sisters Katie and Kristi first encounter an entity that will go on to haunt them throughout their adult lives. 'Paranormal Activity' is now a viable horror franchise. Making the shift from a stand alone horror film to a franchise can mean disaster or longevity. In the instance of the 'Activity' brand, the latter seems to be working out for them. Producer Oren Peli, and the rest of the producing team have done an able job of expanding the story while barely moving the franchise forward. Each new film has given audiences new backstory instead of a traditional sequel to the original "Paranormal Activity" that released in 2009. Quite honestly, it seems they could continue this pattern for a couple more rounds before jumping forward in time rather than dabbling in the past. Something about the Paranormal Activity films that I love is the simpleness of them. Each film is strangely comforting because the patterns the first film created. Let me clarify, I don't mean comforting in a way that is soothing, but more that you know what to expect. When the text runs across the screen "Night #1" or "Night #8" the audience knows what lies ahead. Better yet, the anticipation of it happening is what audience feeds on. This format is simple. Give us the set up and make us wait and see what happens. It may be something very small or something completely unexpected but when it does happen the moment becomes instantly gratifying. While I say this format is simple, the art of making it work is not. There is a factor that makes it work so well, the tease. Each Paranormal Activity film knows how to build and tease the jump scares. 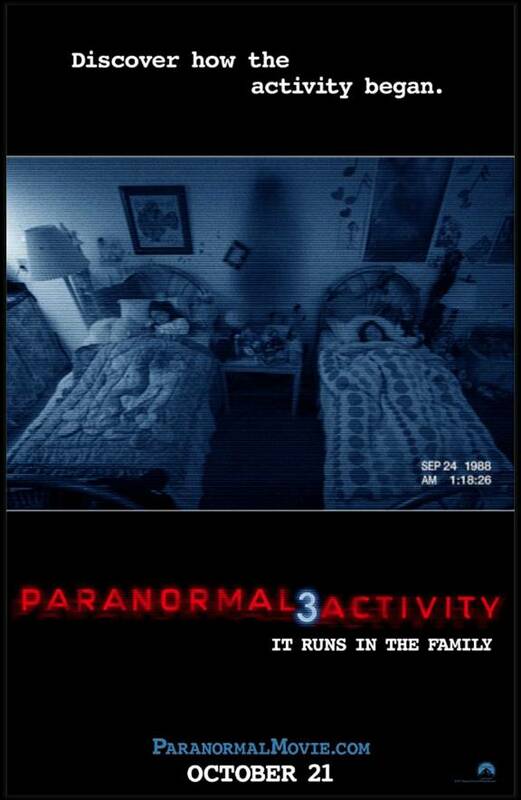 "Paranormal Activity 3" is no different. Directors Henry Joost and Ariel Schulman pull out some of the best moments out of all three movies. Stuff that I refuse to tease myself here. These movies are best seen without prior knowledge about any of the scares because its the not knowing what could happen that hooks you. Much like a haunted house maze, the fear of not knowing what's around the corner, or in this case what will happen during "Night #3," is what makes these horrors so frighteningly fun. The spin "Paranormal Activity 3" takes back to the past works pretty well. I liked seeing Katie and Kristi's first interactions with the paranormal entity. Plus the film expands things a whole new direction I really didn't see coming. Without any revealing, I love the turn the series has taken and am thoroughly excited for more development in the coming years. These films almost feel like serials now. Its like I expect every year to enjoy a new Paranormal Activity movie much like the Saw fans did for awhile. Also like the Saw films, these installments can't go on forever, but I can easily see another two or three before growing tired of the schtick. been wanting to see this one, but still need to see part 2. i liked the first one for what it was - low budget horror.